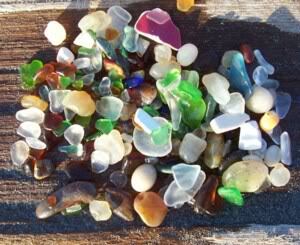 Here are more sea glass photos "Catch of the Day" submissions! 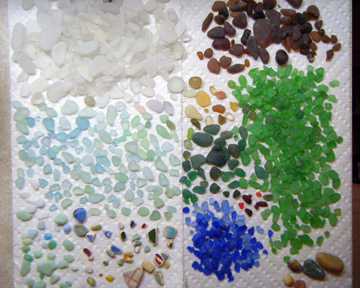 These pics show what folks like you can find in just one day at the beach! 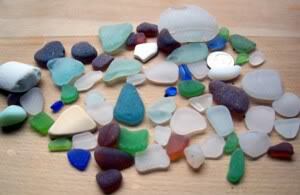 Seaglassin' is like fishin' but maybe better.You never know what will end up in your bag. There's sometimes even a "big one that got away" story. 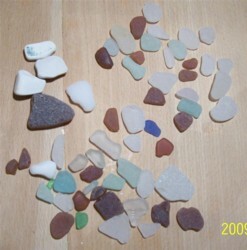 Each time to the beach is different and some have hit the jackpot. Everyone though, whether the catch is good or not, has a great time. 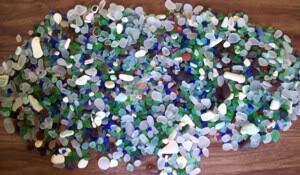 Even if it's the first time to the beach or the first time a person has seen sea glass photos, he/she is likely to enjoy the wide variety of attractive and interesting colors and shapes that can be found in one day. 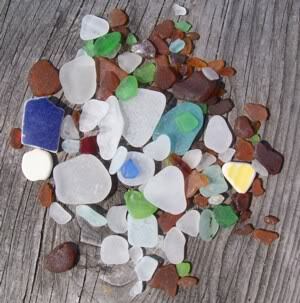 Show Us What You Found at the Beach! New! Quick and easy upload of your photo. 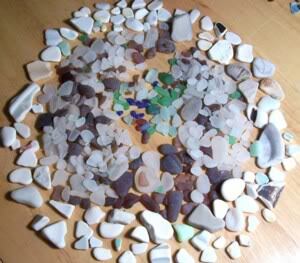 You can share what you found beach combing today. To upload a photo, it should be less than 1000 pixels wide. 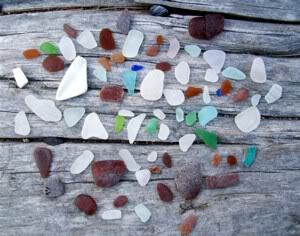 Click here for easy instructions on resizing your photo. Click the button and find the photo on your computer. Then select (click once) on it. See instructions above on resizing photos if this doesn't work right. 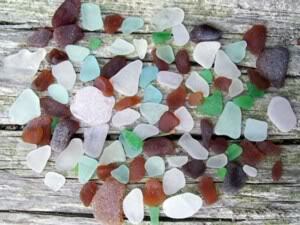 Catch of the Day - used in relation to beach glass, it what one has collected in one day as opposed to sea glass collected over various trips to the beach.